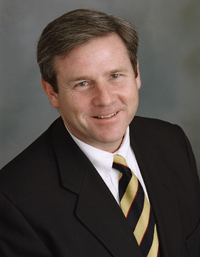 Attorney Thomas Keating has actively practiced law for 25 years, focusing on business and estate planning. Mr. Keating belongs to the State Bar of Michigan, the American Bar Association Section on Real Property, Probate and Trust Law, the State Bar of Michigan Section on Probate and Estate Planning, and the Michigan Forum of Estate Planning Attorneys. He is the founder of the Financial and Estate Planning Keeping Current Series as well as the East Side Business and Financial Forum and is a member of the Financial and Estate Planning Council of Detroit. Mr. Keating is a member of WealthCounsel, a national forum of estate, charitable and business planning professionals, and is a frequent speaker at estate planning forums around Michigan. Mr. Keating is co-author of Strictly Business, book written for those facing business and succession planning challenges.